Human beings faces stress. Adults have stress to take care of everyday. So do the kids and the children. While you might be more than happy to consult a yoga instructor or go for a boxing match with your mates to deal with the stress you feel at work, kids will require a different approach altogether. Of course you might be thinking that how would kids be having worries when all they do is play and go to school. 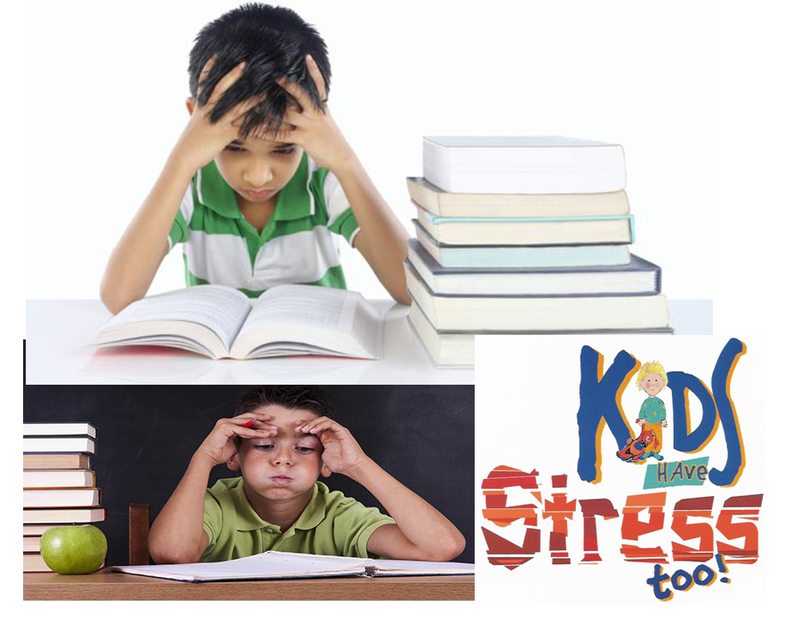 For them, stress is present throughout the day ranging from their schools and friends to even the movies they watch. So contrary to what many people think, children and kids do have stress and worries that they have to go through every day of their lives ranging from their classrooms, school buses, friends and anywhere else they go. One of the most common mistakes parents make when it comes to their kids’ stress problems is that they take it for granted that their kids will tell them if they are worried. This is a wrong approach because kids tend to believe that it is their parents who should be asking them if something is wrong and not the other way. To a certain extend this is their way of crying out for attention especially in situations when you are not giving much. Some parents on the other hand tend to believe that they can fix anything and any problem their child is facing. Bear in mind that this is never the case. Whatever the situation is you will not be able to solve every problem they face or every worry they are feeling throughout their entire life. What you can do though is try to help them cope and try out various ways to overcome them which will then teach them to do the same as they grow up and face bigger problems. How then would you be able to tell if your children are worried and how then can you start talking to them and asking them to voice out what they feel? You have to bring into consideration that some children are not as interactive when it comes to conveying their feelings to you even if you are their parents. And it is often the problem of the parents who do not know how to connect to their kids in these situations, particularly those that deals with emotions and feelings. Adults tend to be a little more egoistic when it comes to trying to talk your kids out of their anger or disappointment. Of course it is never easy to admit you are wrong if indeed you are not. But to this extend you would need to do whatever is needed in order to have your kid tell you how they feel. So use the right words when talking to them. Let them know that it is okay to talk to you if they are angry with you, not accusing them right off and then try to manage from there, this won’t work. The hardest thing anyone can do is to actually be patient enough to sit down and listen. Parents who are short fuse will find this extremely difficult to do. This is because you never take the time to listen to your kids. The whole idea of communication is that you are calm and alert in listening to what they have to say. Some people would take if for granted that these are just a phase where the kid has to go through in ‘growing up’. Your child might be trying to tell you that there is a bully in school who is making life difficult for them, but you believe that it is just a part of growing up. That is awfully wrong. Some kids might not need you to solve the bully problem for them as they might have something up their sleeves. But what they need perhaps is for you to listen to them and make them feel that they are not alone in this. After all, being bullied in school gives you very much a feeling of isolation. So always listen and most importantly take your time in listening. Encourage them to elaborate further so that they are able to freely express themselves to you. Some might go to the extend of crying, so be the shoulder to cry on. That’s what parenthood is all about. One of the major hurdles when learning about your kid’s worries is being understanding. Of course this is where you will be putting yourselves into their shoes and looking at the situation. Use comforting words and not those that will incite more anger. If your kid is sad because he could not get into the school’s play, try to understand why and say things like ‘you must be so disappointed’. Never use words like What? They don’t know what they are missing. The whole point here is to show that you understand what they are going through, not ganging up to go against the flow because once this session is over, your kid is going to face the same problem again, alone. That is the only best way to cope with their worries. If it is disappointment they are facing then you will have to find something that is better and more beneficial. If it is anger or worriedness then an outing or so could help. Whatever it is, as the parent you should know how to make your kids happier. Avoid buying things for them as it might set a precedent in that sense which might be unhealthy in a long run. Activities and things to do are the best ways to help them cope and forget their problems if they cannot be overcome overnight. The most important factor you have to put into practice in coping with your kid’s stress is to be patient. Nothing can be solved immediately, this is a fact that both you and your kid must be aware of. Problems will only be solved if time is taken and all alternatives are used. While the problem still persists the only thing you can do is to wait and to find ways to go around them. But being the parent, you have to be both the confidante and the problem solver. Listening to them allows them to know that you understand. Giving options give them the impression that they can count on you. Being patient will bring you through the whole process remembering that however small you think the problem might be, it is a big deal for them, so grab a chair, listen to them and work it out together.